Please note that this tutorial is for the SparkFun Inventor's Kit version 3.3. 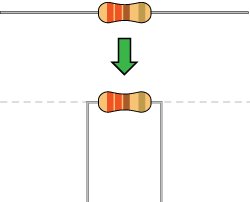 If you have SIK version 4.0, check out the latest tutorial. Do you have the old v3.3 kit and want to upgrade to v4.0? Try getting the SIK bridge pack ! 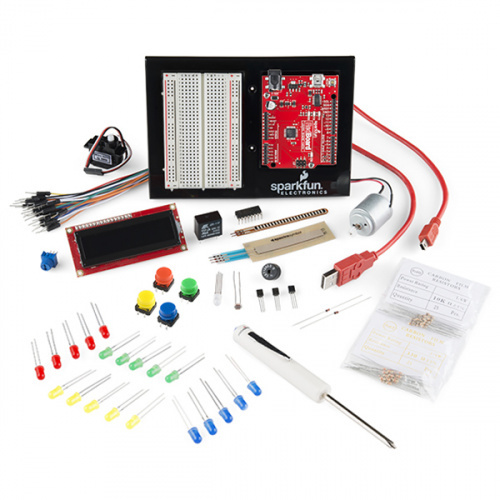 The SparkFun Inventor's Kit is your map for navigating the waters of beginning embedded electronics. 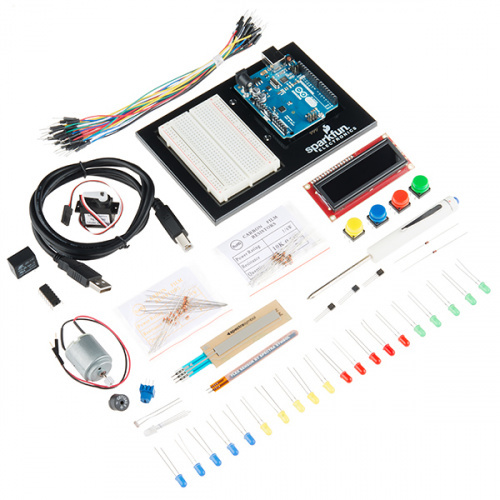 This kit contains all the information and parts you will need to create 16 circuits that cover the basics of programming and hardware interactions. At the center of this kit is one core philosophy -- that anyone can (and should) experiment with electronics. When you're done with this guide, you'll have the know-how to start creating your own projects and experiments. This guide is also available as a downloadable PDF, if you prefer. SparkFun's version 3.3 is licensed under the Creative Commons Attribution Share-Alike International License. 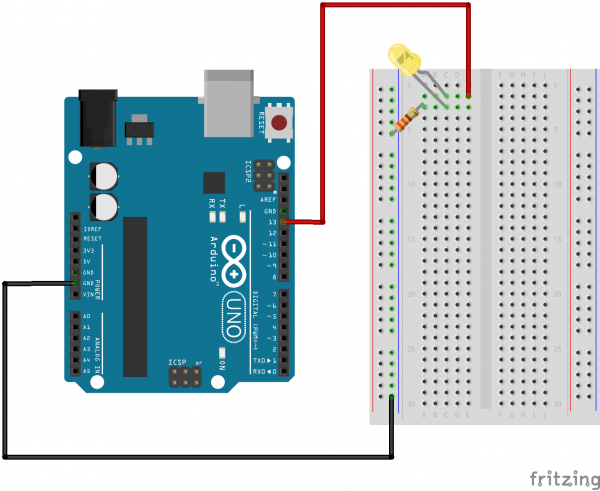 The following steps are a basic overview of getting started with the Arduino IDE. For more detailed, step-by-step instructions for setting up the Arduino IDE on your computer, please check out the following tutorial. In order to get your microcontroller up and running, you'll need to download the newest version of the Arduino software first (it's free and open source!). 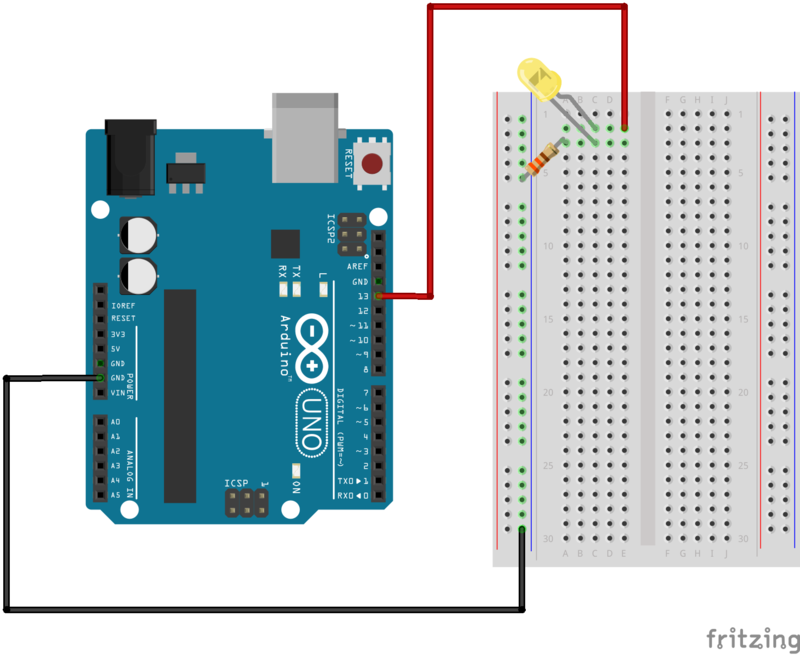 This software, known as the Arduino IDE, will allow you to program the board to do exactly what you want. It’s like a word processor for writing code. Use the USB cable provided in the SIK kit to connect the included microcontroller (RedBoard or Arduino Uno) to one of your computer’s USB inputs. Next up we need to tell the Arduino IDE which of our computer's serial ports the microcontroller is connected to. 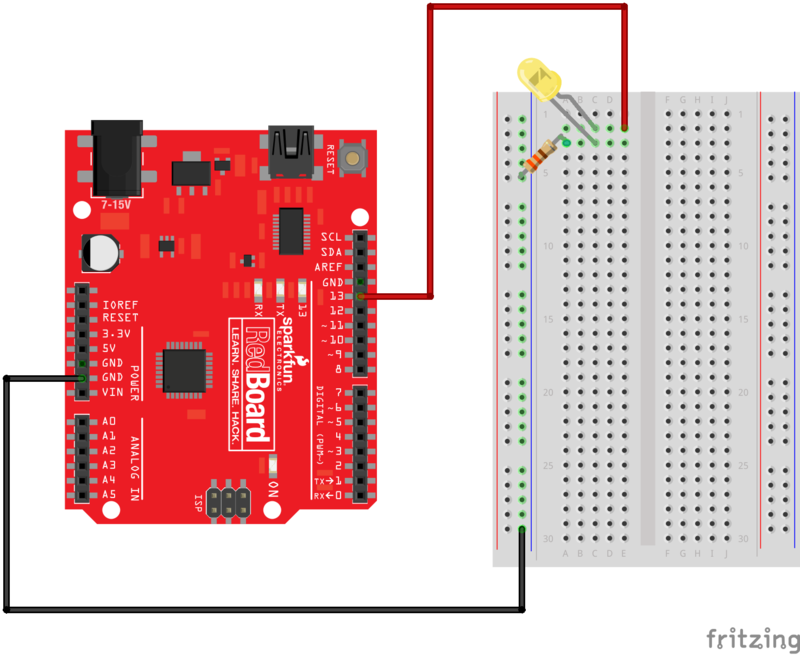 For this, again go up to Tools, then hover over Port (Serial Port in older Arduino versions) and select your RedBoard or Arduino's serial port. Once you've unzipped the download, copy SIK-Guide-Code-V_3.3 into examples folder in the Arduino folder.